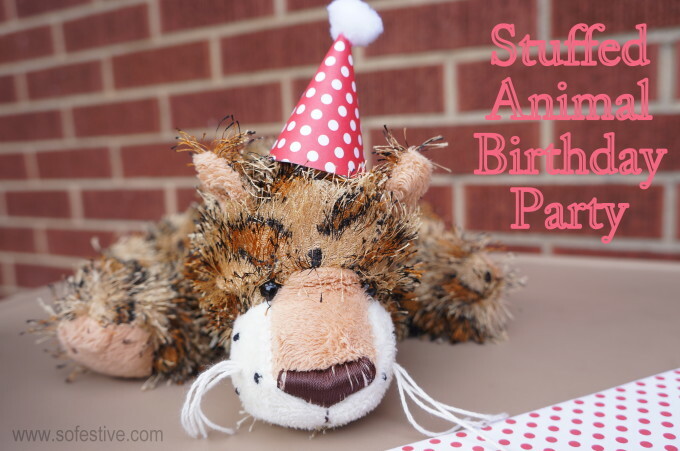 Stuffed Animal Birthday Party for Kids - So Festive! 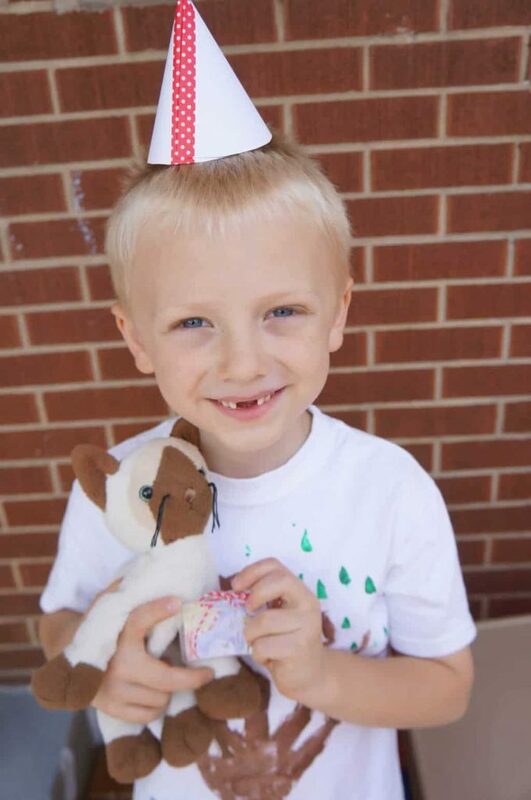 My oldest son, Tanner, is always talking about his stuffed-animal’s birthdays. 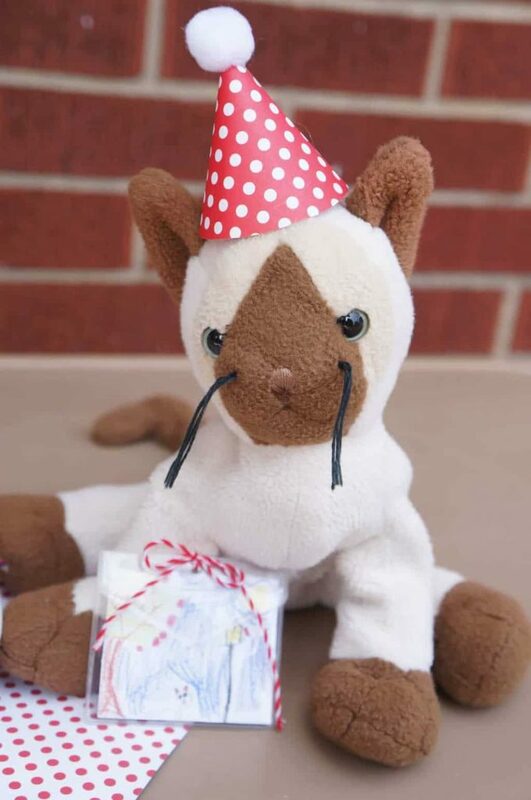 Being a busy mom I’ve usually just brushed it off and let him do his own pretending, but the other day I had the idea to actually help my kids to throw a little “Stuffed Animal Birthday Party!” We kept it simple and just did a few small things they could help with to make it festive and fun. First they helped make some rice crispy treats that we turned into a little cake. 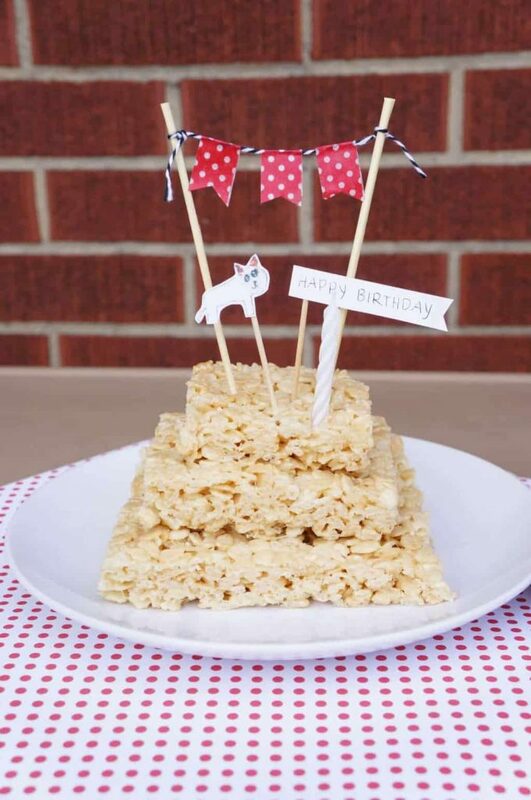 Such an easy treat to whip up, but they’re so delicious and it made for the perfect cake. What’s a party without guests and party hats right!? So we made some little hats for all their buddies and invited them to the festivities. And then of course we all dug into the cake. Landon even shared his with his dinosaur. There you go! A fun activity to put together with your kids that they’ll just love. 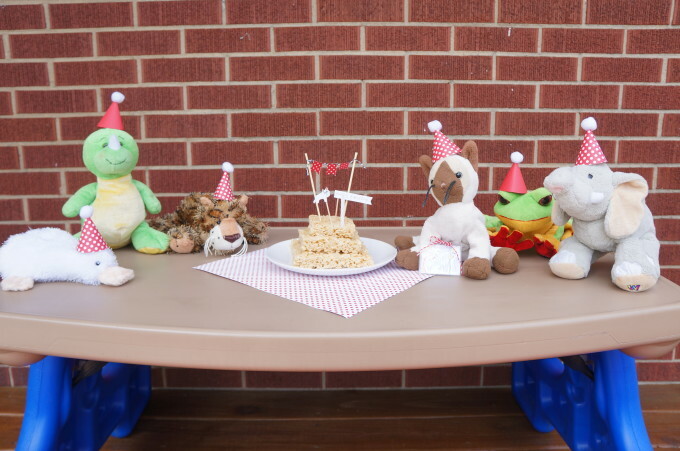 What stuffed animals are having birthdays at your house this week?? 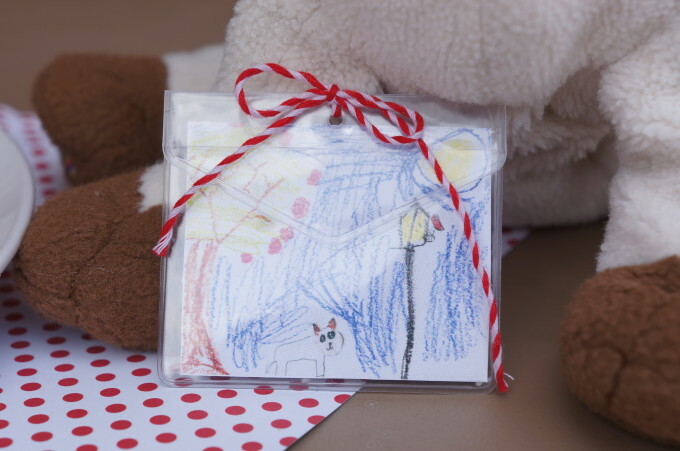 *So Festive with Kids is series contributed by Andrea, a creative mom to 3 boys who always has a fun idea for the little ones. All photos and ideas are original to her.